COMPANY PROFILE Annaly Capital Management Inc is a part of the real estate sector. As a mortgage real estate investment trust, it owns a portfolio of real estate related investments, including mortgage pass-through certificates and collateralized mortgage obligations. Annaly Capital Management Inc is an American mortgage real estate investment trust. The company segments its operations into Residential and Commercial real estate investments. While Annaly’s Residential assets are primarily comprised of agency mortgage-backed securities and debentures, it is primarily invested in commercial mortgage loans and mortgage-backed securities in its Commercial unit through its subsidiary, Annaly Commercial Real Estate Group. Agency mortgage-backed securities and debentures make up the majority of the company’s overall portfolio. Most of the company’s counterparties are located in the U.S. Annaly generates nearly all of its revenue from the spread between interest earned on its assets and interest payments made on its borrowings. Price to Earnings, Price to Sales and Price to Cash Flow ratios all value a company based on what it is generating (i.e. profits, sales or cash flow). 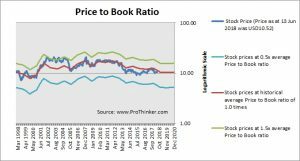 Price to Book ratio is different in that it values a company based on what it owns (i.e. its net assets). At the price of USD10.52 as at 13 Jun 2018, Annaly Capital Management Inc is trading at a Price to Book Ratio of 0.9 times current book value. 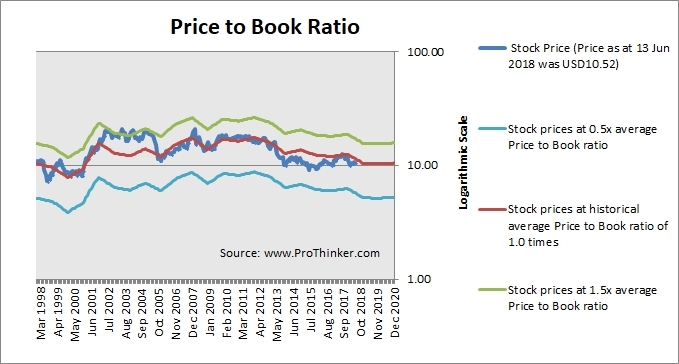 This is a 8% discount to its historical average Price to Book Ratio of 1.0 times.